【Fast Charging and Sync】-- USB 3.0,Transfer speed up to 5 Gbps, 3A Fast Charger, Data Transfer and Power Charging 2 in 1 USB-C Cable. 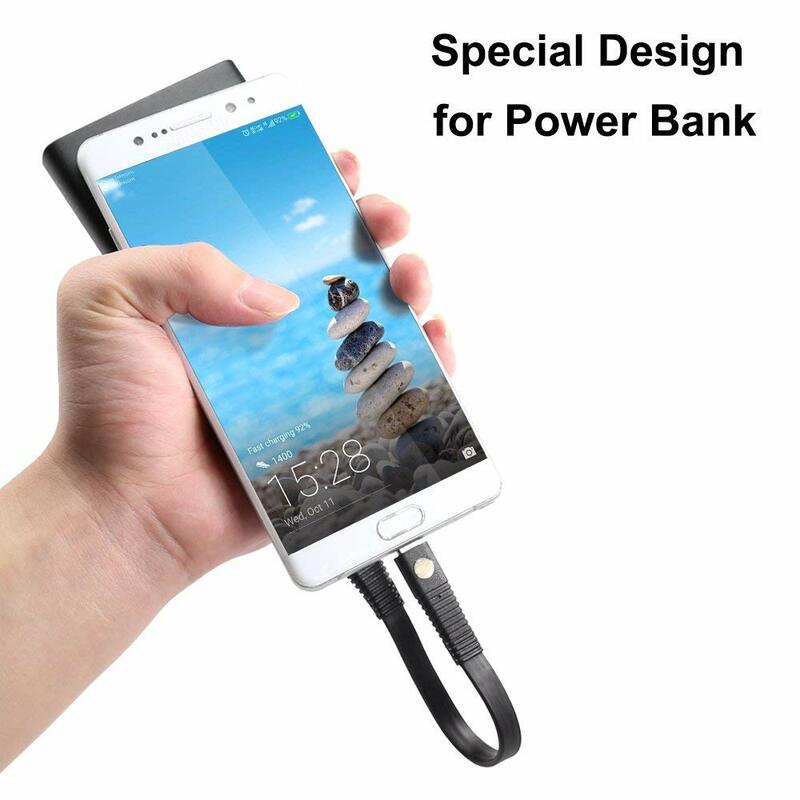 【Potable for Power Bank】-- 0.66ft(20CM)only,and soft TPE Outer Layer with plastic buckle to fix the cable.let you very convenient to carry.The good partners with power bands.it's handy to carry with wherever you go. 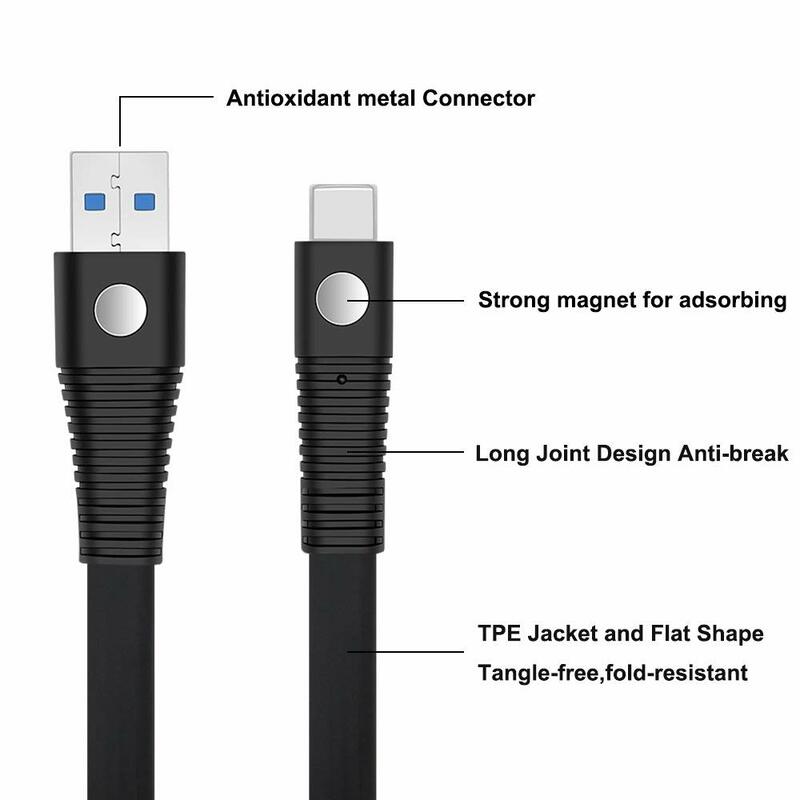 【Magnet Head Design】-- The USB C to USB A head built-in magnet,strong absorbing and saving space,this usb c cable can be easy for carrying and especially fits for traveling. 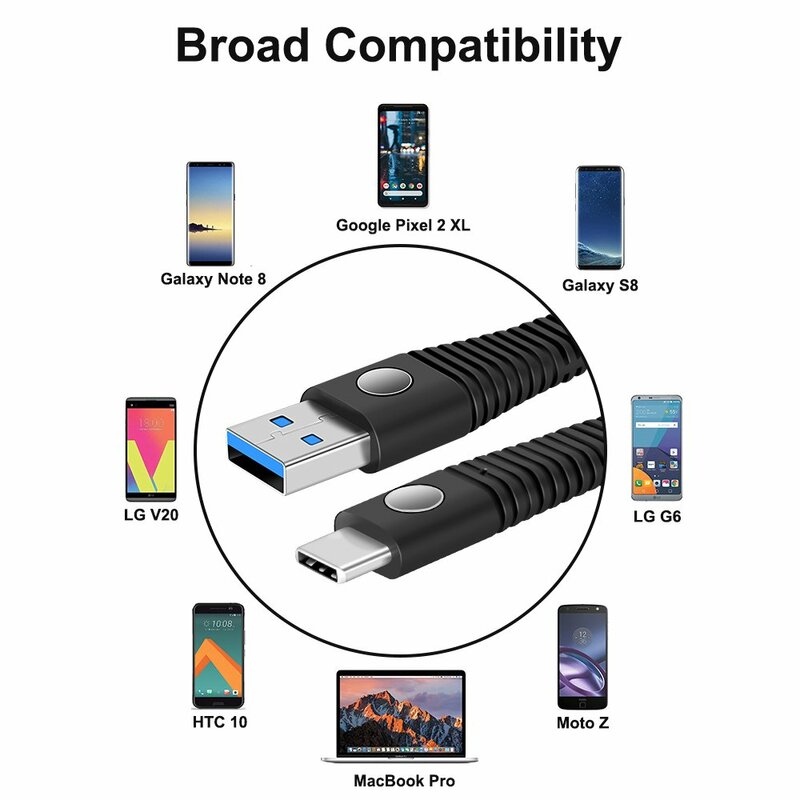 【Compatible with】--The new USB C devices such as LG G6/ G5/ V20/ V30,Samsung Galaxy Note 8/ S8/ S8 Plus/ S9/ S9 Plus,Nintendo Switch,Google Pixel/Pixel 2/Pixel XL/Pixel 2 XL,New Nokia N1 tablet, Lumia 950, Lumia 950XL, ChromeBook and More. 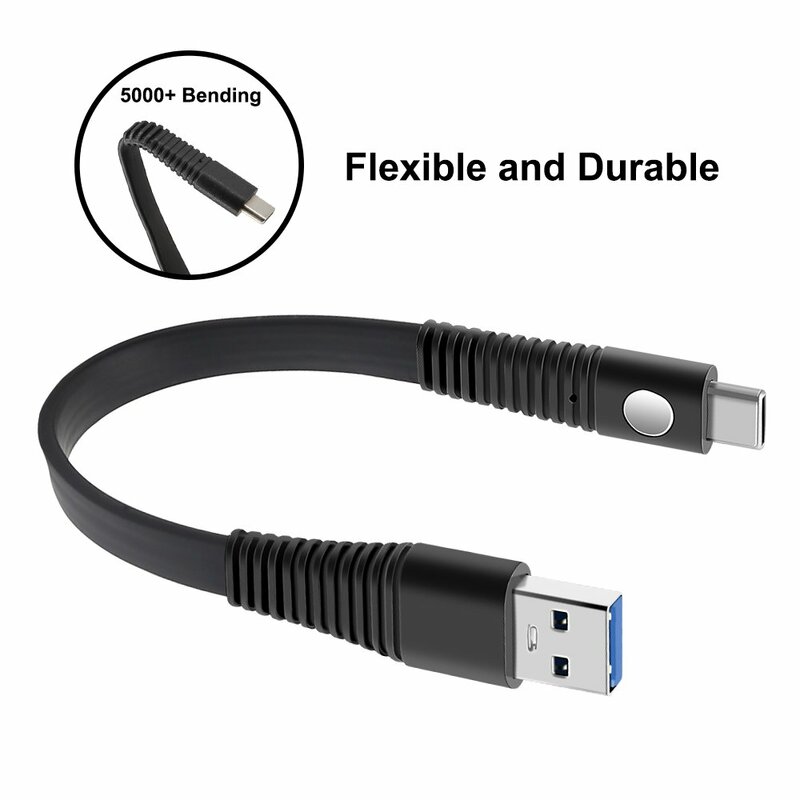 【What you get】--COOYA 0.66FT/20CM USB C Cable with Magnet.We offer 30-Days worry-free replacement of refund.If there is any question,please feel free to contact us.We make the lifetime friendly customer service. 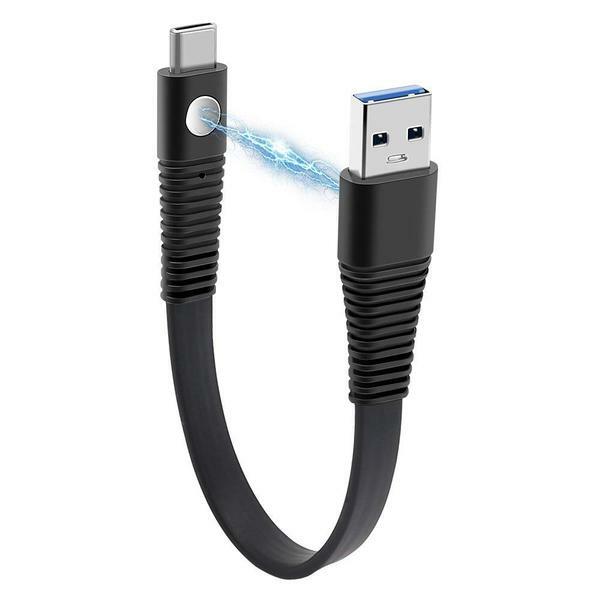 With build-in magnet head design,strong absorbing and saving space,this usb c cable can be easy for carrying and especially fits for traveling. 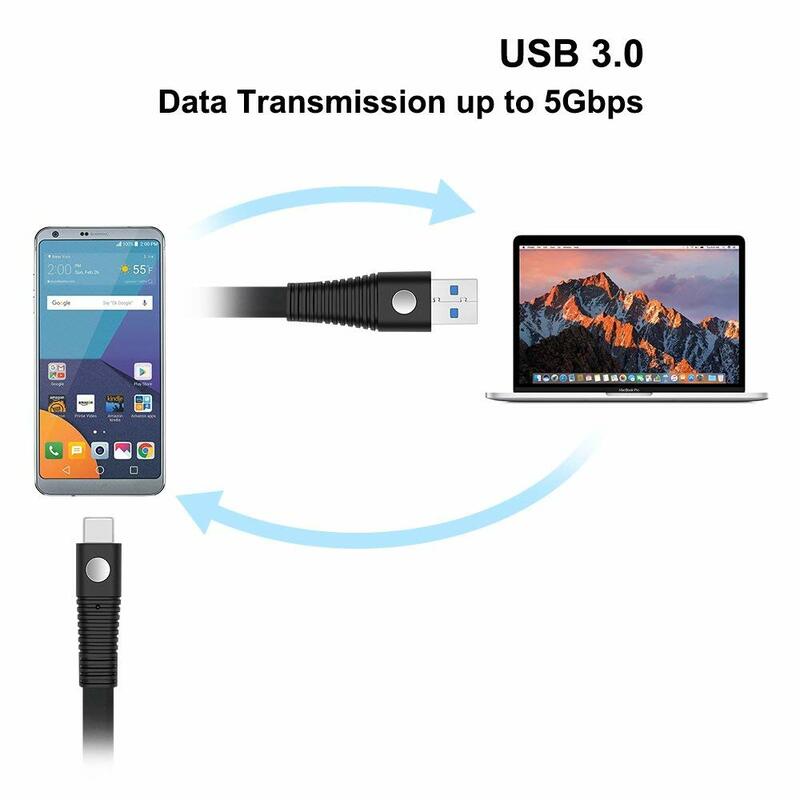 The USB-C 3.0 transmits data up to 5 Gbps.It includes a standard 56 kilohm resistor for safe, rapid charging up to 5V/ 3A. 0.66FT short usb type c cable,special design for power bank,tangle-proof and anti-break,portable to carry with wherever you go. 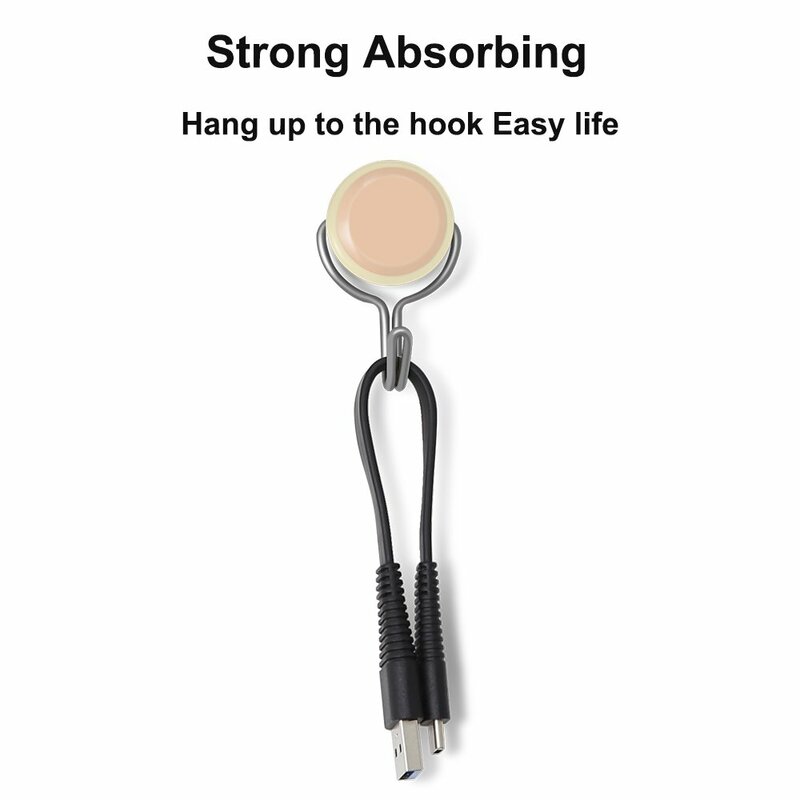 Compared to the traditional cable neck, this long tail design is a new way to adds premium durability to the cable,no worrying about breaking the connector when you frequent plug cable into your phone or other devices. This cable will not charge GOOGLE, HUAWEI or OnePlus Devices at full speed, as HUAWEI Supper Charge required 4.5V/5A and One Plus Dash Charge required 5V/4A, while the maximum output current of this cable is 3A.